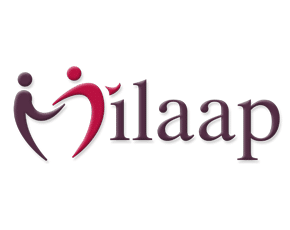 Milaap , is India’s leading digital crowdfunding platform for personal and social causes, enabling individuals to raise funds online for causes such as medical expenses, education, housing, natural disasters, water and sanitation. Donors/lenders get onto the platform, choose their preferred campaign and donate/lend within seconds. Milaap is a ‘tech-for-good’ company and its beauty lies in the collective power of micro-funds; individuals can choose to donate small amounts, which when grouped together can be channelized to address a pressing need, often resulting in improved livelihoods. Sachin’s two-year old son, Rohit, was suffering from a rare disorder of Intestinal Malrotation, a congenital anomaly that required INR 15-20 lakhs to be treated. Rohit’s treatment required him to be in and out of the hospital and Sachin was struggling to keep pace with the piling bills. Sachin’s wife was a stay-at-home mother and the family survived on Sachin’s meagre salary as a salesman at a car showroom, leaving negligible savings at the end of each month. He heard about Milaap from someone at his workplace. Curious to learn more, he logged onto the platform through his mobile phone, keyed in his name, the amount he wished to raise, the cause and its details. He then provided his Aadhaar number and address proof through his Digilocker. As the hospital where Rohit was admitted was registered on the Milaap network, Sachin’s application was approved instantly. His Aadhaar-linked bank account was used to gather the funds. The Milaap team helped Sachin pen down his story and he went on to raise the requisite amount in less than a week from donors across India and internationally. Another investee, DriveU is an app-based service that provides professional, verified drivers for your personal car. It’s a marketplace that matches demand from car owners at one end with a supply of professional drivers at the other end. Rajesh, who worked at his local grocery store as a sales boy, earned Rs. 10,000 a month. When he heard about DriveU from his neighbor, a registered driver with the company, he was excited at the possibility of making a living out of driving, an activity he enjoys thoroughly. Earlier, he worked as a full-time driver but lost his job abruptly when his employer relocated to Singapore. To bridge the gap, he took up the sales job but was keen to get back to driving. Rajesh walked into the DriveU office in Bangalore at 10 a.m. on a Friday morning, met Ashok who heads operations for the company, and expressed his desire to join the platform. Rajesh then provided his Aadhaar number, which was verified in a few seconds. He gave DriveU access to his Digilocker through a one-time password, allowing them to retrieve his driving license and proof of address. He also provided references of his previous employers. Ashok made two quick calls and confirmed that all was good. Soon after, Ashok got someone from his team to accompany Rajesh for a test drive. He completed it effortlessly. Rajesh then used UPI to pay DriveU the initial deposit money, a requisite for all drivers, and voila! Rajesh was a driver on DriveU! All this was completed within an hour; driver onboarding earlier took 7 days for DriveU. The time difference speaks for itself, not to mention the savings on costs and efforts. The above scenarios are only a glimpse of the many applications of India Stack. High value low volume to low value high volume transactions; drastically lower customer acquisition and transaction costs resulting in inclusive growth; uniform lending rates to individual pricing of risk based on digital footprints; gamified products that learn people’s behaviors and enable goal oriented savings…. these are just a few examples of what India Stack can enable. Startups that integrate elements of the Stack to rapidly scale their business are what investors are increasingly seeking to back. We, at Unitus Ventures (formerly Unitus Seed Fund), are looking for those truly interested in leveraging India Stack to leapfrog their startup to the highest level of (unimaginable) growth.